I had a great time this past Sunday with Kristin & Charles while shooting their engagement session. I’m also shooting their wedding later this year at El Chorro in Paradise Valley, AZ. 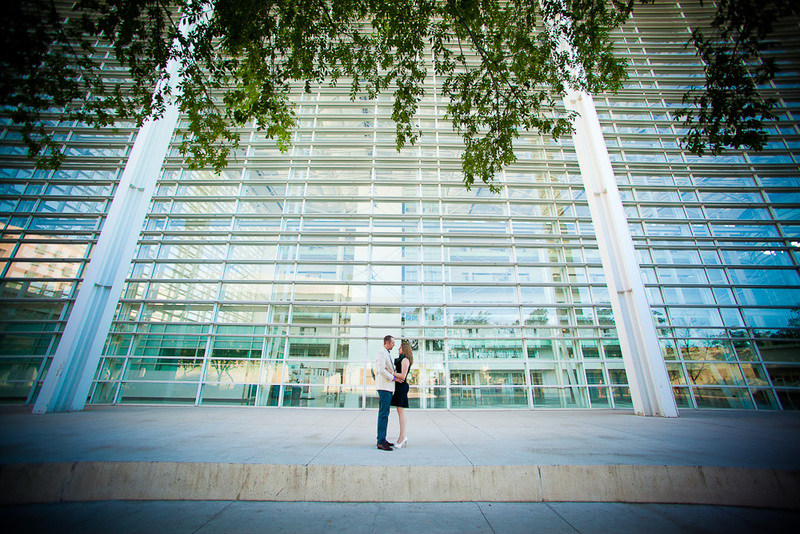 We started out at the Federal courthouse building in Downtown Phoenix, before being kicked out by a security guard and then went on a little walk around downtown. We then went down to the Rio Salado Park to get a little more variety. I think we got some great stuff and these two were really fun to shoot. I’m really excited for their wedding. Fun couples like these make my job a breeze.